I can't lie, it's hard to get back into the groove at home since our holiday. We're working on it, heck Alex even wrote up a project list already! But for now, I hope you'll be patient with us on house stuff and I hope you enjoy seeing photos along with a few details/stories from our trip! 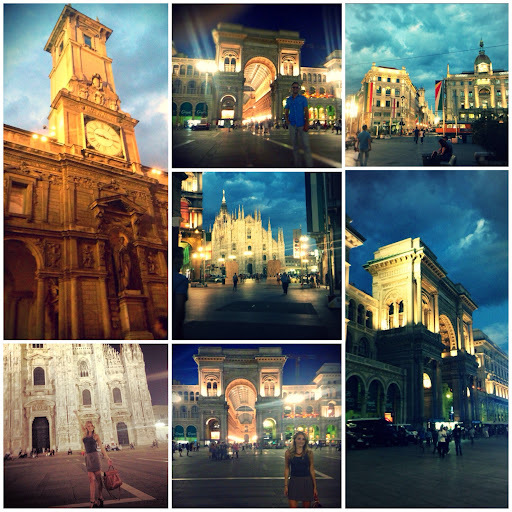 You know I'm a sucker when it comes to reminiscing :) and for poops-sake, we're onto Italy now! Who can't appreciate un tocco di vita Italiano?!? That said, here's a look at Milan, Hammers and High Heels style! Strangest meal from the whole trip- grilled octopus and fish tar tar, the thought of those tentacles makes me shutter! 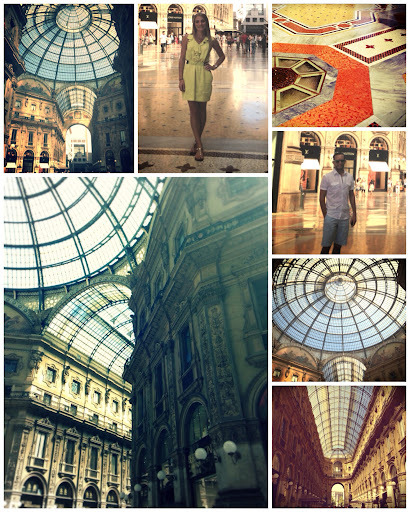 What was our favorite moment(s) in Milan? 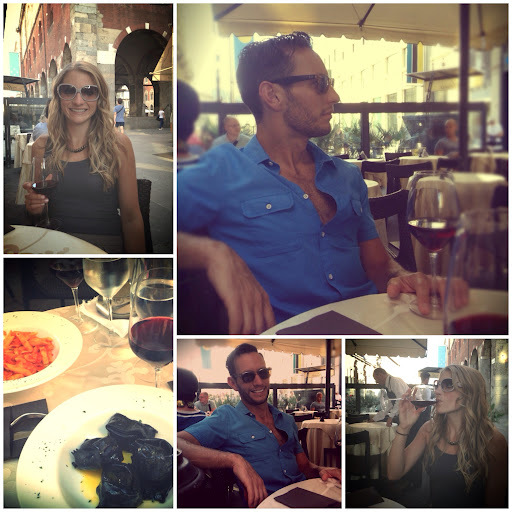 Alex: Relaxing with a little wine and desserts in the piazza near the Duomo. It was very relaxing to sit there and enjoy the flow of the city. 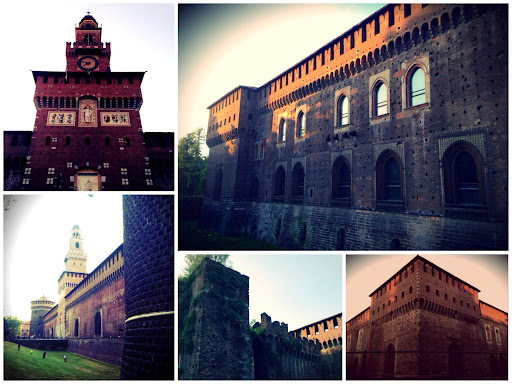 You could almost feel the pulse of that city from that one spot and it made it very easy to admire Milan. 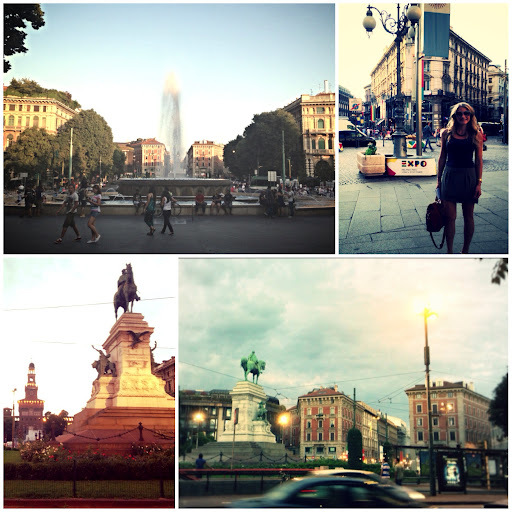 What surprised us about Milan? Alex: I personally felt that it was an easy city to get into the groove of. I know it's a big time vacation "no-no" but, it was fun finding a favorite little spot and grabbing a bite to eat there. 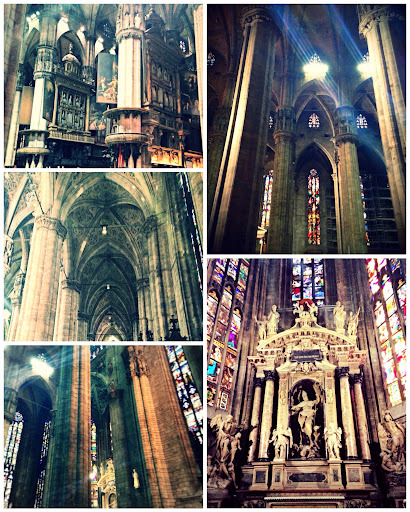 Also- because the city isn't littered with tourist "must-sees," it was easier to relax and just be there. Carla: Milan seemed to be shopping heaven- I heard that it would be and I usually turn off my shopping brain when I'm with Alex but I got sucked in! Store after store I "ooo-ed" and "ahh-ed" at every window, it's not everyday I can go into a Zara and Zara Home after all! Alex was a good sport though, he even got sucked in a little bit! So, we ended up shopping which was certainly a surprise! 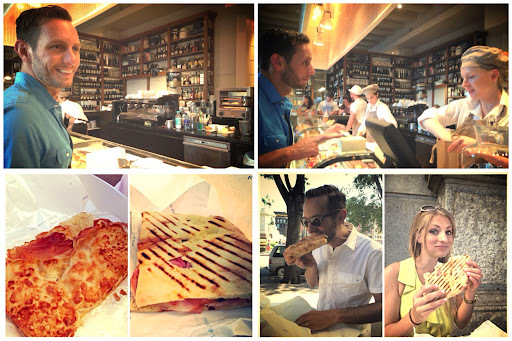 What was a must-try menu item while in Milan? 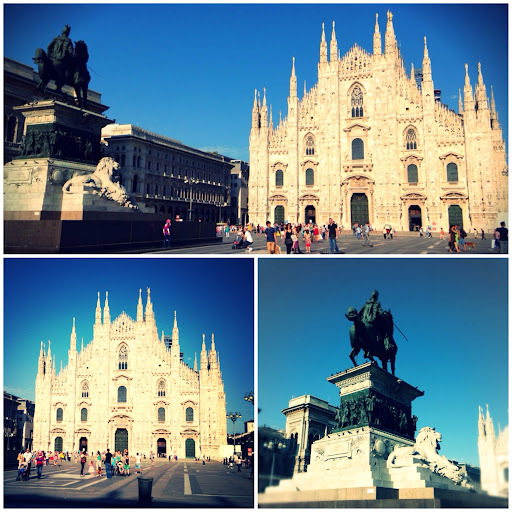 Carla: That's tough since we were really only there for one and a half days, but I guess I'd say the best food experience in Milan was the Aperitivo at a bar/restaurant by the Duomo (having a hard time finding the name, hope to link it up if I can). Aperitivo is basically the Italian version of a Happy Hour- but they don't do drink specials. Instead drink prices are the same or higher, but buying a drink entitles you to a free buffet of Italian specialties! Thankfully it isn't actually a buffet, the wait staff kept bringing us plate after plate of random goodies until we had to say stop! You leave a bit tipsy, stuffed, and you spent less than $20 for two! Who wouldn't love it?! What tip would we share for someone going there? Alex: Don't pay 50 euro for a bottle of wine unless you know it's worth it. Instead, grab a little bite to eat and a bottle of wine to go from a cafe that's not on the main tourist drag. Enjoy it casually while you take in the city from a park bench or the base of a fountain. You'll be glad you did! 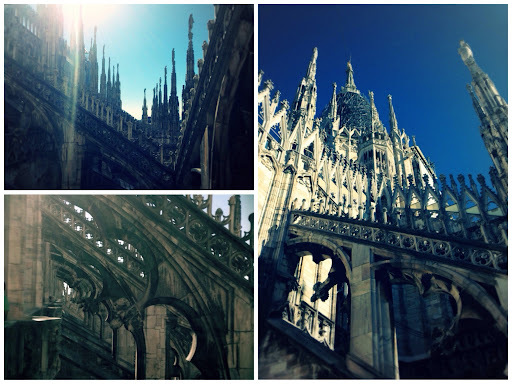 Oh, and pay to go up to the top of the Duomo- it's quite awe-inspiring! 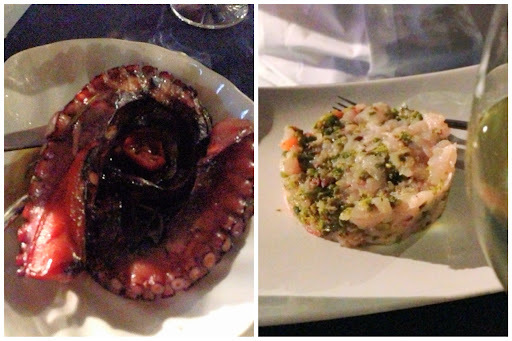 Carla: Don't order the grilled octopus and seafood tar tar. Guess that applies in any city though really! -shutter- ugh I thought about the sucker things on the tentacles, now I'm grossed out again. Alex: To just slow down and maybe do a little shopping? Carla: To shop! Which means I'd love to go on my own or with gal pals. But if Alex was with me, I'd let him at a nice cafe to sip some espresso so I could wander store to store in peace. There were so many lovely looking shops, but since our visit was so short I didn't really get to indulge into shopping as much as I wanted. I'd definitely go back to hit all the apparel, home decor, and shoe stores I missed! Video bonus! 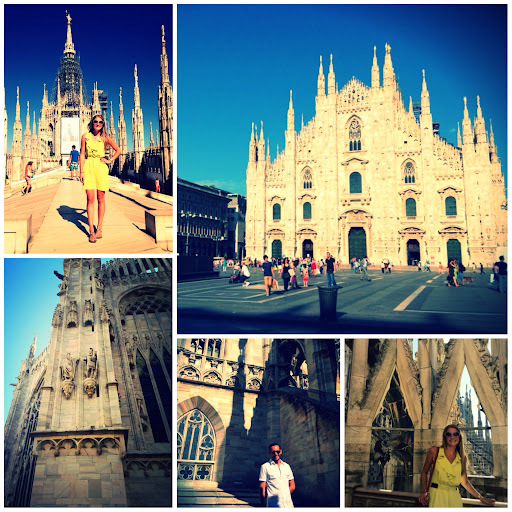 Enjoy the fine Italian street performance and me kill the pronunciation of "The Duomo"! My favorite city, place, country, best place in the world is up next- Dubrovnik, Croatia! Tons of beauty and adventures to share, hope you'll stop back to see the Zidarevich's back in our homeland! See you then!